Here is a list of products and services which I have tested myself and highly recommend. Profit Accumulator This is the matched betting service that I first joined. Great community and sharing of ideas. Geeks Toy An excellent trading robot, the dutching tool is excellent, very quick to place trades. Highly Recommended! The Bet Engine A conditional Betfair Robot, that bets for you, race after race, completely hands free. Stable and Brilliant in use! Bet Angel I use the basic free version, a really good tool. 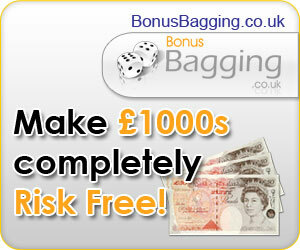 Bonus Bagging Build your bank quickly with free money from the bookies. Guaranteed to work! Goal Profits If footie’s your game, these guys are the pro’s. Excellent soccer statistics, live trading and lots of systems available. Clear Bonus Profits A recent inexpensive matched betting service. Also have trial memberships. Total Tennis Trading If you need tennis trading ideas, this comes highly recommended! Tradeshark The Best tennis trading service I’ve had the pleasure to review. Great Value!